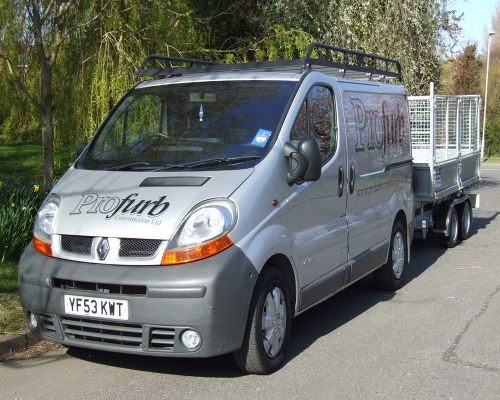 Profurb Construction Ltd have successfully completed a number of projects, from laying patios, fitting kitchens, updating bathrooms, converting houses into flats and the construction of new properties. We are contracted to maintain one of the largest garden centres in the south of England and have carried out refurbishment works to several local hotels. We frequently build residential extensions and have completed a vast number of refurbishments over the years helping customers to maximise the value of their property. We work with our customers to achieve the best possible results. All our clients are assured of our reliability and hands on approach, completing works on time and within budget. All aspects of your project will be discussed with you before we start so that any doubts or questions that you may have are addressed. We can work from your architect’s drawings or you could use one of our own recommended architectural partners. Once we start works, we will not leave site until you are completely satisfied and as the project progresses we will confirm with you any alterations or changes before they are carried out, preventing any unwanted surprises that might arise. We work on a quotation basis with payments broken down into stage payments. These payments are due when each of the pre-agreed set stages have been completed and signed off by building control and/or the architect. This way, you know exactly where you stand and are assured that your project is on schedule, on budget and has been constructed in a safe and professional manner. We only employ established and fully qualified staff and contractors, and work closely with building control and architects to ensure all projects proceed smoothly and with as minimum disruption as possible. Profurb Construction Ltd has public liability insurance to the value of £10,000,000.00 With Contract Works Insurance to £500,000.